Pump Express Service technicians are on-hand to REPAIR OR REBUILD BERKELEY PUMPS 24/7 including, Jet Pumps, BERKELEY Effluent Pumps, BERKELEY Sewer Ejector Pumps, BERKELEY Waste Water Pumps, BERKELEY Booster Pumps, BERKELEY End Suction Pumps, BERKELEY Lawn Sprinkler Pumps, BERKELEY Storm Water Pumps, BERKELEY Water Fountain Pumps, BERKELEY Centrifugal Pumps, BERKELEY Engine Driven Pumps, BERKELEY Process Pumps, BERKELEY Transfer Pumps, BERKELEY Well Pumps, BERKELEY Chemical Pumps, BERKELEY Fountain Pumps, BERKELEY Self Priming Pumps, BERKELEY Trash Pumps, BERKELEY Dewatering Pumps, BERKELEY Irrigation Pumps, BERKELEY Sewage Pumps or BERKELEY Utility Pumps. PUMP EXPRESS also sizes and sells BERKELEY PUMP MOTORS. Our BERKELEY PUMP CUSTOMER SERVICE DEPARTMENT can assist in resolving BERKELEY PUMP WARRANTY issues. Our parent company, PUMP EXPRESS STOCKS BERKELEY PUMPS AND PARTS across 500,000 square feet of warehouse space. Our BERKELEY PUMP PARTS inventory includes: BERKELEY PUMP FLANGES, BERKELEY PUMP BEARING ASSEMBLIES, BERKELEY PUMP BODIES, BERKELEY PUMP GASKETS, BERKELEY PUMP COUPLERS, BERKELEY MECHANICAL SEALS, BERKELEY KEY SHAFTS and various other BERKELEY PUMP PARTS. Browse our comprehensive on line BERKELEY PUMP CATALOG complete with BERKELEY PUMP MODEL NUMBERS, BERKELEY PUMP PART NUMBERS, BERKELEY PUMP SIZES, BERKELEY PUMP CURVES and BERKELEY PUMP SPECIFICATIONS at www.pumpexpress.com. As part of our extended range of services, Pump Express offers customers ready access to expert, personalized engineering support. 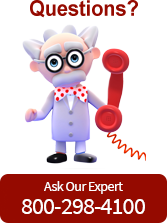 Our experienced staff of BERKELEY PUMP APPLICATION ENGINEERS will answer your questions and provide individualized technical assistance. From BERKELEY PUMP PRODUCT selection and factory direct quotes to providing guidance with pump curves or installation and operating instructions, Pump Express is a leader in technical service. Whether you need a BERKELEY PUMP REPAIR OR REBUILD or want to replace an existing BERKELEY PUMP with a new model, PUMP EXPRESS is your go-to BERKELEY repair and replacement facility and SUPPLIER OF BERKELEY PUMP PARTS. Our staff of BERKELEY PUMP EXPERTS carry out BERKELEY PUMP REPAIR, SIZING and SELECTION for commercial, industrial and residential customers. For more information call our BERKELEY PUMP SERVICE & SALES desk at 1-800-298-4100. Ask about our BERKELEY PUMP LOWEST PRICE GUARANTEE !